Spec-Lit No. 2 ed. 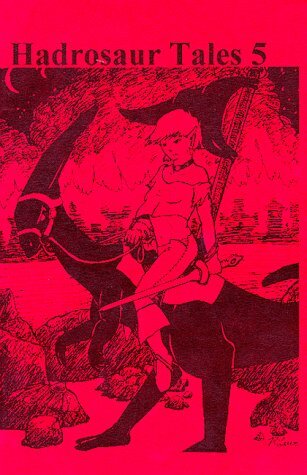 Phyllis Eisenstein (Columbia College Chicago 0-932026-48-6, Nov 98, $11.95, 176pp, tp, cover by Ed Emshwiller) Anthology/magazine of 14 stories, primarily by students from Eisensteins writing classes. Classics of the Supernatural ed. Peter Haining (Pan 0-330-37417-6, 1998, £5.99, 224pp, pb) Reprint ((Severn House 1995 as Ghost Movies) anthology of 12 stories and an excerpt. Scary! Stories That Will Make You Scream! ed. Peter Haining (Souvenir 0-285-63461-5, 1998, 223pp, hc) Anthology of 14 stories. Holt! Who Goes There Tom Holt (The British Fantasy Society 0-9524153-3-X, Oct 98, no price, 45pp, ph, cover by Anne Russell) Collection of 14 articles from Holts column in Prism, the newsletter of the British Fantasy Society, plus two previously uncollected stories and an original poem. Distributed free to members of the British Fantasy Society. Doctor Who: The Handbook: The Seventh Doctor David J. Howe & Stephen James Walker (Doctor Who Books 0-426-20527-8, Oct 98, £6.99, x+310pp, pb, cover by Alister Pearson) Reference guide to the Sylvester McCoy years, 1987-1989; the wilderness years; and Paul McGanns 8th Doctor movie in 1996. There are added sections on the selling of Doctor Who; a script-to-screen examination of one episode; errata from the 6 previous volumes; and an index to all of the books. Call of the Wild and other stories Jack London (Phoenix 0-75380-448-4, Sep 98 [Nov 98], £3.99, x+246pp, tp, cover by Paul Ladnier) Collection of 13 stories, selected, edited, and with an Introduction by Christopher Rigsby. Ape into Pleiades Lilith Lorraine (Hilltop Press 0-905262-17-4, 1998, £2.75, 20pp, ph, cover by Stuart Raymond Scouler) Poetry collection. Alien TV Paul J. McAuley (Birmingham Science Fiction Group, Nov 98, no price, 24pp, ph, cover by Dave Mooring) [Alien TV] Collection of two original short stories issued in a limited edition of 350 numbered copies, to coincide with McAuleys Guest of Honour appearance at Novacon 28. Science Fiction, Fantasy, & Weird Fiction Magazine Index (1890-1997) Stephen T. Miller & William G. Contento (Locus Press, Apr 98, $49.95, 1,643pp, CD-ROM) Non-fiction, reference. An index to magazines published from 1890 through 1997. Includes listings by author, title, cover artist, and issue. Skeletons in the Closet William I. I. Read (Sarob Press 1-902309-02-2, Nov 98, £18.00, xv+181pp, hc, cover by Nick Maloret) [Dennistoun] Collection of nine Jamesian parodies, six previously unpublished, featuring Dennistoun, perhaps the worlds most haunted man. Limited to 200 numbered copies. The Agony & the Ecstacy: New Writing for the World Cup ed. Nick Royle (Sceptre 0-340-71241-4, May 98, £6.99, 310pp, tp) Anthology of 24 original stories, including work by Graham Joyce, Chaz Brenchley, Chris Kenworthy and Mark Morris. The Strange Case of Dr. Jekyll and Mr. Hyde Robert Louis Stevenson (Prentice Hall 0-13-435472-9, 1998, hc) Anthology of the title novella and five other stories. Aklo, A Volume of the Fantastic ed. Mark Valentine, Roger Dobson & R. B. Russell (Tartarus Press 1-87262131-7, 1998, £14.99, 256pp, hc, cover by Aubrey Beardsley) Anthology of articles, stories and poetry. 4 · Purefoy and Arthur · Hilary Machen · ex *; the third chapter of Conversations with a Graven Image, an unpublished autobiography. 128 · The Dowson Legend · John Gawsworth · ar * [Ernest Dawson]; read to the Royal Society of Literature March 9th, 1938.